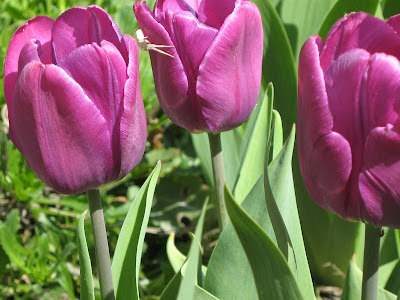 Keeping with the garden theme, I thought I would share some of the flowers that are up in my garden. I don't know the name of the above plant (any idea Heather??) 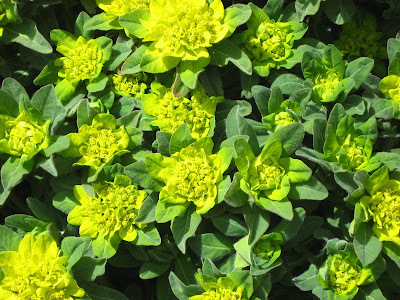 but it's a nice cheery plant to see after the long, cold winter we had. 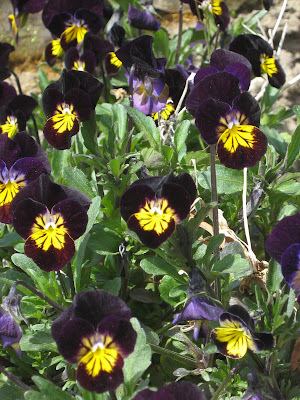 I believe these are called Viola (or Johnny Jump Ups). 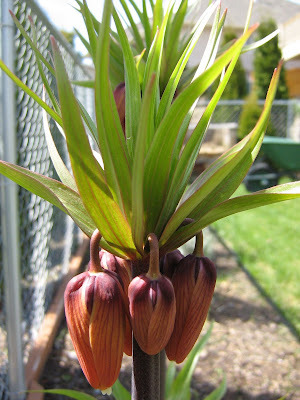 I love them because they are one of the first flowers up and they stay flowering (and spreading themselves like wild!) until late fall. They are very hardy which is perfect for me. 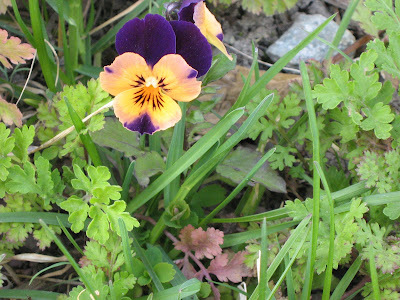 Another Viola - they come in such pretty colours and pop up even if you forget to weed your garden. Weird looking spider! Yes, Katherine can consult her resident spider expert for its name! My resident spider expert says your little arachnid is known as a Goldenrod spider; which happens to be G's favourite. beautiful! i'm moved to get outside with my camera on the next sunny day after being so inspired by the gorgeous garden photos on this blog! I wish I was there to help you my dear. Soon enough we will be frolicking ang laughing together in the yard.